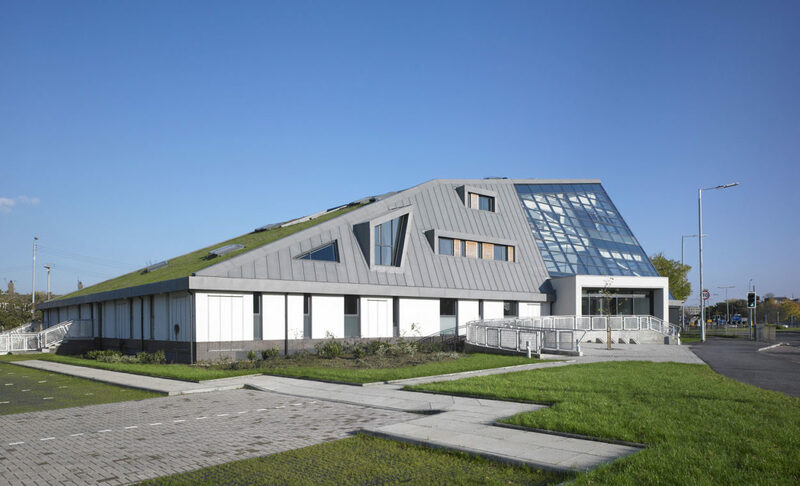 The ‘Wedge’ houses a new community resource for Greater Pollock in the south of Glasgow. The building contains community meeting rooms, joint learning disability day care facilities and local cyber cafe along with community office facilities to accommodate members of the Scottish and UK Parliament, Joint Learning Disability Partnership, Greater Pollock Development Company, Pollock Credit Union, Pollock Community Forum, Healthy Living Initiative and various other local community groups. 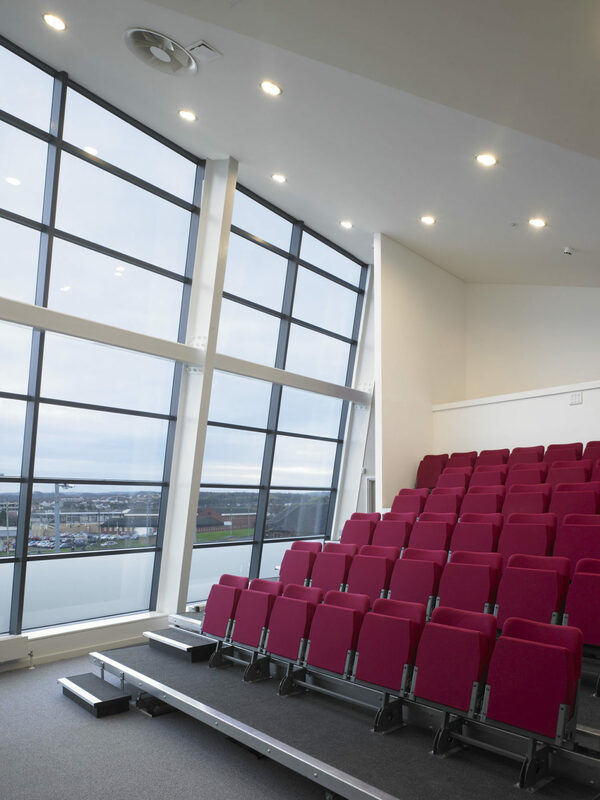 The site shape and location significantly influenced the design. 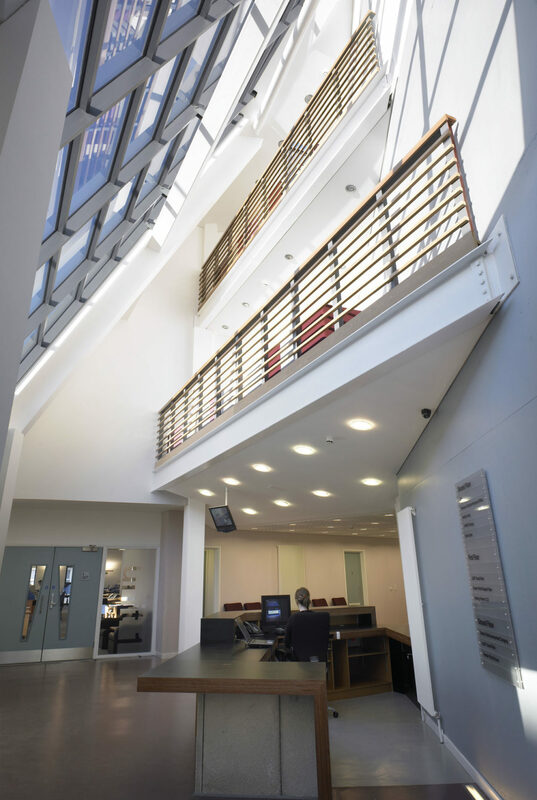 The building sits within a triangular ‘island’ adjacent to an existing 4-storey tenement and an important transport intersection to the centre of Pollock. It rises from one storey to 3 to allow maximum aspects from adjacent tenements and to form a prominent corner at the transport interchange. Each internal space is unique. 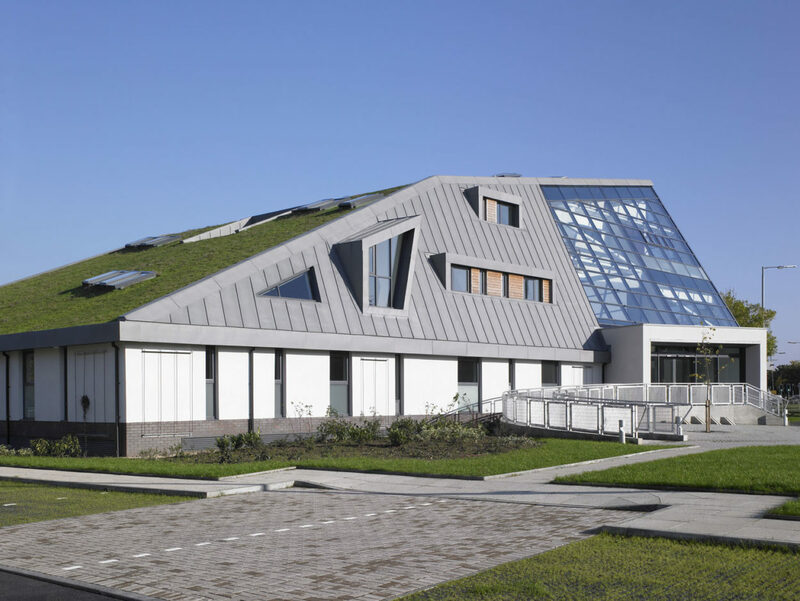 The large sloping roof is expressed internally to provide generous volumes and large quantities of natural lighting. 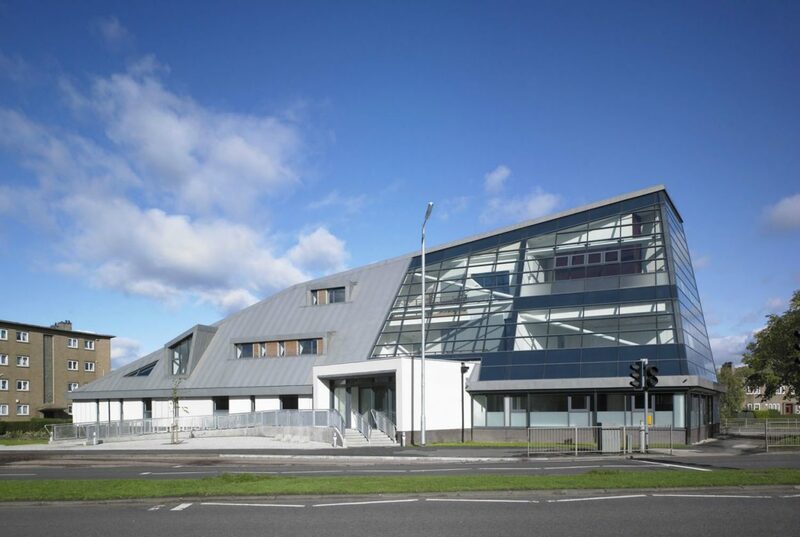 The street structure is clad predominantly in zinc, curtain walling and render with an expansive green roof (the largest in Scotland) at the time. 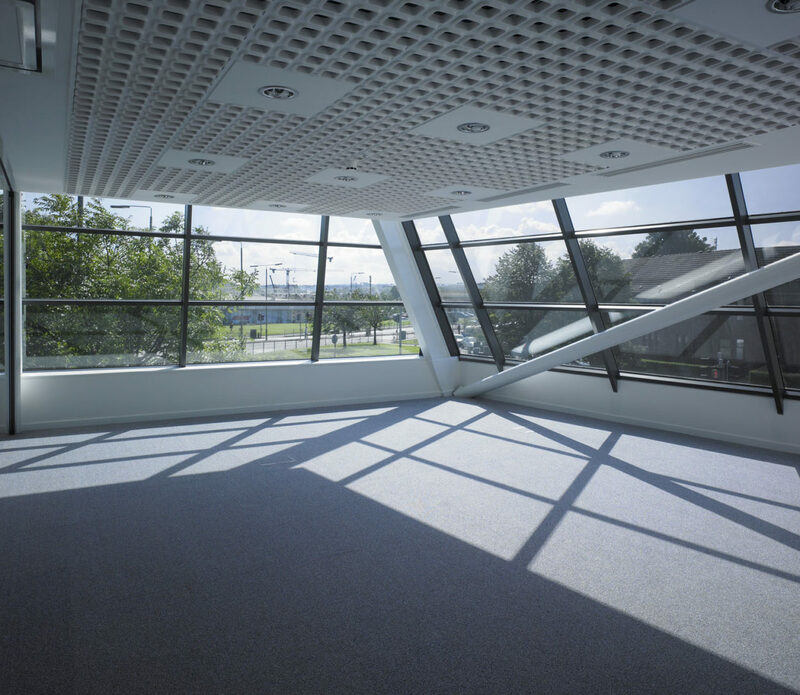 All office spaces are naturally ventilated with shared, staff chill out areas overlooking the triple height glazed entrance foyer.